Beit Terezin Museum with a floor mosaic depicting the Terezín Ghetto. Even though the foundation stone to Beit Terezin (also known as Beit Theresienstadt) had been laid already in the late 1960s, the State of Israel officially recognized it as a Holocaust museum (only the third in the country!) as late as in 2011. The reasons are evident. In a way, Beit Terezin had to carve up its own niche in a country where the Holocaust figures as one of the central themes of social life; it had to prove that it was a full-fledged museological institution whose significance would not diminish in the company of the country´s main state Holocaust museum – Yad Vashem. It was a long journey indeed, driven by modest but persistent efforts. The people who stood and still stand behind this remarkable story deserve profound respect. There were several reasons for the establishment of a memorial institution commemorating the Terezín Ghetto victims in the 1960s; first and foremost, it was a sense of reverence and responsibility towards the wartime victims from Central Europe. This special purpose was wonderfully served by the kibbutz Giv’at Haim Ihud where quite a number of Czechoslovak, German and Austrian Holocaust survivors found their shelter after the war (interestingly enough, the first Jewish Elder of the Terezín Ghetto Jakob Edelstein with his family1 had planned to travel to and settle in that particular kibbutz after the war – but destiny reigned otherwise – since the family was murdered in the Auschwitz I concentration camp). 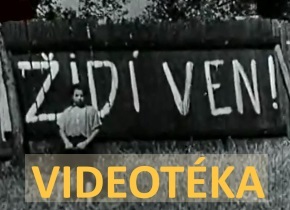 The second cogent argument for the foundation of the memorial at such a great distance from “the crime scene” was the prevailing way of presenting the Ghetto history in the then Czechoslovakia – in actual fact, its communist regime had systematically suppressed any mention or knowledge of the Ghetto and of its Jewish victims. Indeed, any Ghetto Museum at that time existed solely in the “drawers” of the employees of the Terezín Memorial (school groups were then shown only around the Small Fortress, the Ghetto seemed to be out of bounds to visitors). At the end of the 1960s, Prague´s Pinkas Synagogue containing the names of all the victims was again closed down and it was to be expected that this situation would hardly change after August 1968. It should be noted that similar memorials gradually appeared in Israel – in this case, Beit Terezin ranks among the broader mainstream of attempts on the part of the Holocaust survivors to commemorate their “lost” community, municipality, ghetto or place of their suffering. However, Beit Terezin has been exceptional in a way since its foundation: it was not designed solely as a memorial to recall the tragic past; the Theresienstadt Martyrs Remembrance Association (founded in 1966) agreed on building a joint center – a kind of multifunctional venue suitable not only for meetings of the Holocaust survivors but also for memorial ceremonies, research and education. Therefore, an archive, library or a classroom were also planned. A unique quality of the project was its location in the centre of a kibbutz – so that it could also serve its inhabitants for their own cultural pursuits. 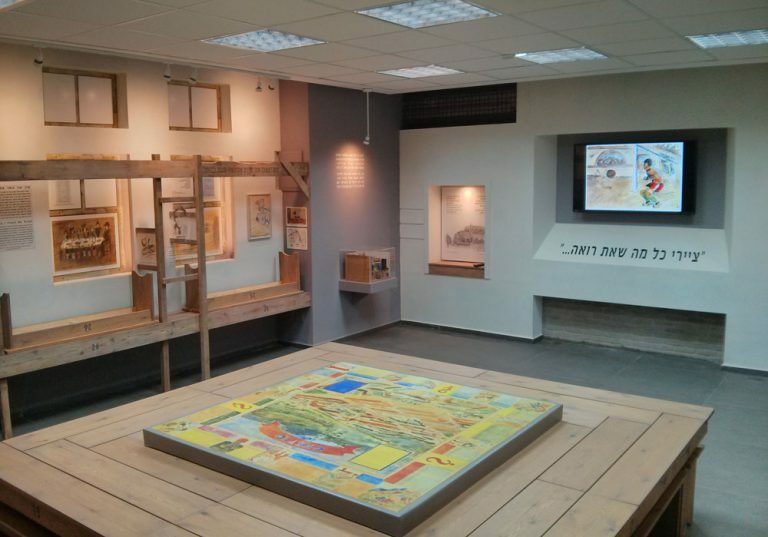 Exhibition in Beit Terezin devoted to the children in the Terezín Ghetto. The foundation stone to the memorial was ceremonially laid in 1969 but many years had to elapse before its opening – the key issue was to find financial resources, and there was not much money around (members of the Association agreed, for instance, to chip in one tenth of their monthly salaries). But if you happen to visit Beit Terezin today you will be astounded. The architectural design of the site is truly unique (its author is a former Terezín Ghetto inmate, architect Albin Glaser). The whole memorial stands on a hillock surrounded by tall trees, blossoming shrubs and flowers. Having ascended the hillock you will find yourself in a sun-lit space from which you can easily get to one of the buildings lining the central square. The heart of the memorial is the museum building designed by Glaser as a brick dodecagon structure resembling the Terezín fortification. As you open the big gate you find yourself in a smallish round room and you immediately notice that you are standing in the Terezín Ghetto, which stretches out directly under your feet on the museum´s floor in the shape of a mosaic. 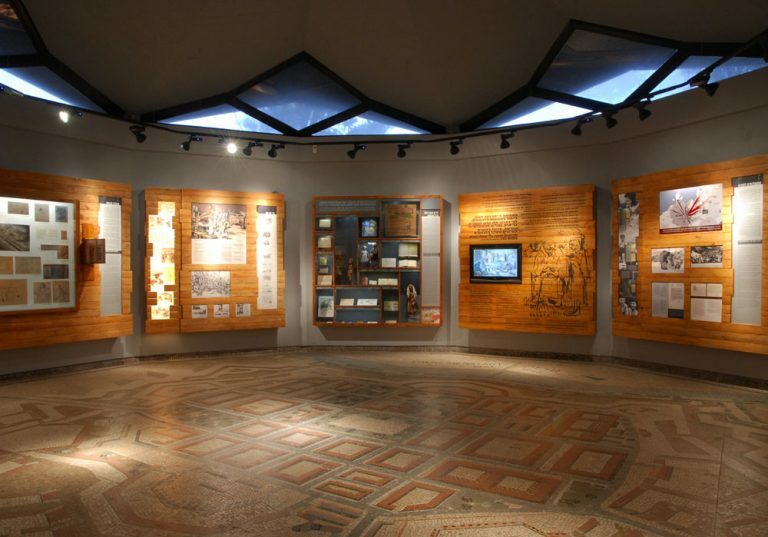 The wooden opening panels on the walls (another allusion to the Ghetto where all the furniture was hand-made from wooden planks) contain an exhibition devoted to several main subjects, such as, for instance, everyday life in the Ghetto, its Jewish Self-Administration or transports. When visiting the Beit Terezin compound, you can view, in addition to its central building, other specialized displays dedicated to the life of children in the Ghetto (effectively utilizing various artifacts from the Beit Terezin archives: for example, the children´s magazine Kamarád or game of Monopoly made in the ghetto), Terezín´s music and sport, soccer in particular. The complex comprises the above-mentioned archives whose key asset is a card index listing more than 150,000 Ghetto inmates; it also features other graphic or musical artifacts, documents, photographs etc. The archives library contains some 5,000 books, periodicals, documentaries, photocopies of sheet music etc. Since 1993 the Education Center, offering educational programs not only to Israeli schoolchildren of various age groups but also to their teachers, university students, servicemen or senior citizens, has been a major part of the memorial. The aspirations of the founders of Beit Terezin, as expressed in its deed of foundation, namely the words: “…we do not want to erect a statue just to commemorate them (our deceased friends), an object symbolizing past suffering that would not be a bridge to the future… “, have come true to the full. The dedicated and patient work pursued by many generations has come to fruition – Beit Terezin is a modern institution that has found its own path into the 21st century.